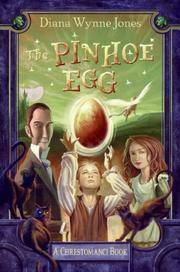 The Pinhoe Egg : A Chrestomanci Book. 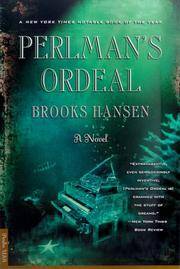 New York: Greenwillow / HarperCollins, October 2006. Uncorrected Proof - 1st Edition, 1st Printing Glossy Pictorial Wraps Fine in Near Fine Wraps 8vo (5-1/2 x 8-1/4), 420 pp. Advance Uncorrected Proof FINE in NEAR FINE wraps with a bump on upper and lower back corner of spine, otherwise unmarked, unread. The Seventh World Fantasy Convention Book: A Fantasy Reader (SIGNED). By Rems, Jack; Frane, Jeff -- Editors. Berkeley: Dark Carnival Books, 1981. First Edition, First Printing Cloth AS NEW in AS NEW DJ 8vo (6-1/4 x 8-1/4), 197 pp. FINE/ AS NEW in FINE/ AS NEW dj, SIGNED by Editor Jack Rems. # 695 of 1000 copies printed, given to attendees of the conference -- not sold. Binding is red cloth with silver type on cover and spine. Short stories, drawings, poetry, excerpts of forthcoming novels (i.e., Stephen King -- "The Bird and the Album" a portion of a chapter in the novel later published as "IT.") dc Contributors:Vonda McIntyre, Peter Beagle, Neil Philip, Alan Garner, Brian Sanders, Brian Froud (drawings), Karl Edward Wagner, Ray Bradbury, T.E.D. 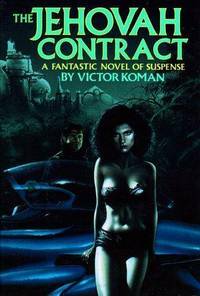 Klein, Patricia A McKillip, Robert Bloch, Stephen King, Marta Randall, Ramsey VCampbell, Fritz Leiber (2 stories), Elizabeth A Lynn, Chelsea Quinn Yarbro, William F Nolan (Teleplay), Dennis Etchison, Peter Straub (poetry cycle). New York: Viking Adult, 2000. First U.S. Edition 1/4 cloth AS NEW in AS NEW DJ 8vo (5-3/4 x 8-3/4), 212 pp. Book is UNREAD, UNMARKED, and AS NEW in UNCLIPPED AS NEW DJ in Bro-Dart cover (there is a slight crease on the inner front flap of the DJ, as it came from the publisher). 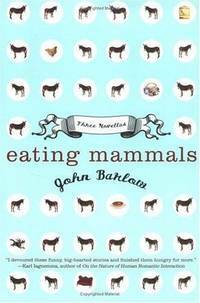 (h) A delightfully outrageous story flamboyantly told of a woman convict in 1821 Australia who gives birth to a seal baby. Possibly. Or is a fraud. Possibly. Whichever, she raises it along with her other son, Ned, and all is more-or-less well until a stranger arrives from America with a lucrative proposal. Unique and delightful. 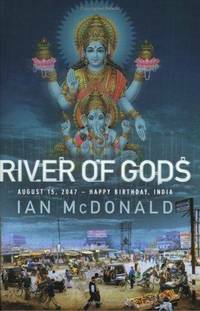 River of Gods: August 15, 2047 -- Happy Birthday, India. London: Simon & Schuster Ltd., UK, 2004. First Edition, First Printing Pictorial Wraps AS NEW in WRAPS 8vo (6x9), 583 pp including Glossary. An UNREAD trade paperback AS NEW in pictorial wraps showing Krshna and Ganesh above a scene of an outdoor city market. A massive epic novel of a future India that captures the reader in an outrageously complex strange and comical world. JEHOVAH CONTRACT: A Fantastic Novel of Suspense. 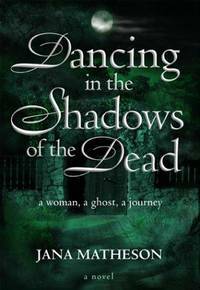 Dancing in the Shadows of the Dead (SIGNED). 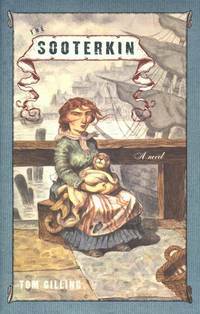 New York: Calliope Rising Press, 2004. First Edition Pictorial Wraps As New in Wraps 8vo (5.5 x 8.5), 355pp. Paperbound book in pictorial wraps with foldover flaps as if DJ, AS NEW, inscribed and signed by the author on the first page A novel of the search for one's true love involving encounters with ghosts, previous lives, and needing to learn how far out to go is too far.